Fiji is often confused with Japan’s Mt. Fuji, and some even confuse it for a brand of household appliance, specifically a refrigerator. However, Fiji is neither a mountain nor a piece of cooling equipment. It is a country, and it is nowhere near Japan, either. Here are some important facts about the country that will make sure that people won’t mistake it for anything else. Fiji is much closer to Hawaii and New Zealand than it is to Japan or the whole continent of Asia. It is a country that is composed of many islands, and it is located in the South Pacific Ocean. Its name may sound like “fridge” or frigid” but the country is anything but. The entire country is composed of over 300 islands with volcanoes, and it is surrounded by warm tropical waters. It regularly enjoys a warm climate. Fiji’s leading attractions are the Garden of the Sleeping Giants and the Sri Siva Subramaniya Temple. Tourists are also attracted to its rainforests, valley villages, spectacular dive sites, and other exotic natural resources that remain untouched by modern urban living. The people are called Fijians, and the native tongue in the country is English. This makes it a lot easier for visiting Westerners to communicate with the locals. There really is no language barrier, so visitors will feel very much at home. Foreigners who have visited have been mesmerized by what the islands in Fiji are offering. Tourists can go hiking and trekking in well-preserved nature parks, swimming in crystal clear waters, and go kayaking or whitewater rafting at Luva River. A visit to authentic ethnic villages for the purpose of partaking in the traditional Kava ceremony is also popular. Even home-staying with the locals is definitely a different kind of vacationing experience. Fijians are very friendly. They understand that their country is a crossroad between continents, not to mention a popular tourist destination. Considering how friendly and inviting the locals are, no one would suspect that Fiji used to be called “Cannibal Isles”, because the people were… well, that’s all in the past now. 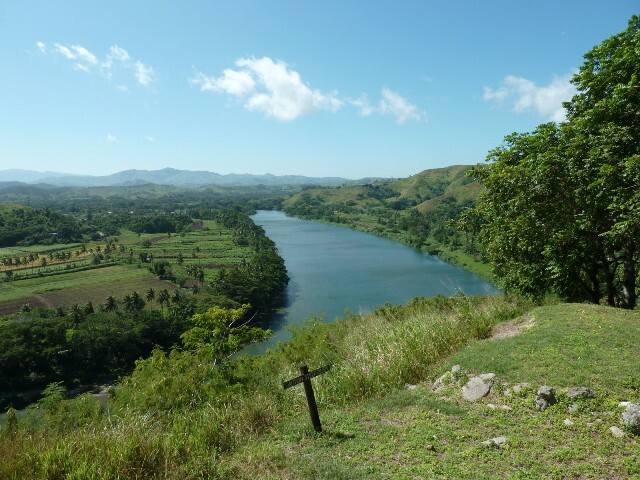 Located in Abaca Lautoka in the island of Viti Levu, the Koroyanitu National Heritage Park is an important nature reserve that is also a leading tourist attraction. The park is also known as Abaca National Heritage Park, Nase Lodge and Mt. Batilamu. It is popular among hikers, nature lovers and adventure seekers since it offers challenging ancient trails through inviting waterholes, small traditional villages, and lush panoramic mountains such as Mt. Batilamu, which is also known as the Sleeping Giant. One of the top tourist draws to Fiji is the Navala Village on the Nausori Highlands in Nadi on the island of Viti Levu. It is an authentic traditional village, untouched by any modern development. Think about the comforts in your own home – TV, A/C, a home entertainment system, the family car – they’re not here. It is a completely different world and the villagers are not putting on a show. This is their way of life. In fact, in the 19050s, the Fijian government offered to this village the construction of modern homes. The people refused, and today, we know that they chose wisely. The elderly villagers taught their children how to build a “bure” home, and so the tradition has been kept alive through the years. To see this highland village is truly a rare experience. Fiji often gets confused with Mount Fuji in Japan. They sound the same and both are world renowned must-see destinations. However, Mount Fuji is just one picturesque mountain, while Fiji is home to more than 300 islands with lovely beaches and lush mountains. The tallest mountain and the highest peak in all of Fiji is the Tomanivi Mountain located on the main and largest island of Viti Levu. Lau Islands in eastern Fiji is a group of 60 tiny islands. Looking at the map, they look like spattered green paint on the Pacific Ocean’s blue stretch. Only about 30 islands are inhabited by friendly Fijian locals who make their living from the reefs. They get their basic living supplies from cargo boats coming from the capital city of Suva. Fiji’s other islands are much nearer the capital city and international airport and with luxury resorts to boast. The following, however, are reasons why Lau Islands should also be placed on everyone’s tourism map. While Fiji is a popular country (although some mistake it as a place in Japan), not many of its 322 islands are known by people around the world. They are difficult to pronounce and spell out, but they offer the best beaches and vacation spots that could not be found elsewhere in the world. 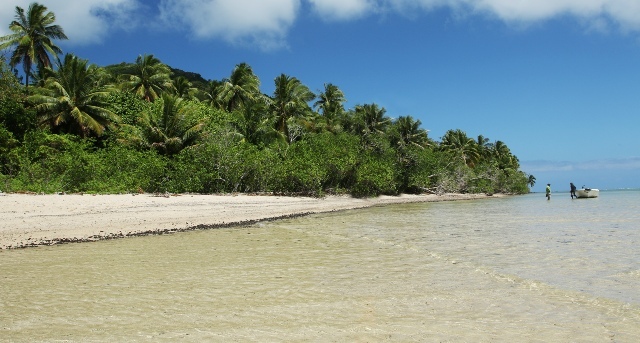 Among Fiji’s many regions or groups of islands, one of the often visited is the Kadavu Islands. The country of Fiji in the Pacific is popular among western tourists for its hundreds of pristine beaches and intriguing landscapes. It has everything that you can think of such as mountains, volcanoes, caves, rainforests, coastal forests, coral reefs, beaches, and amazing dive sites. If you want your Fiji vacation educational as well as enjoyable, visit Tavuni Hill Fort to get a dose of the archipelago’s interesting history.